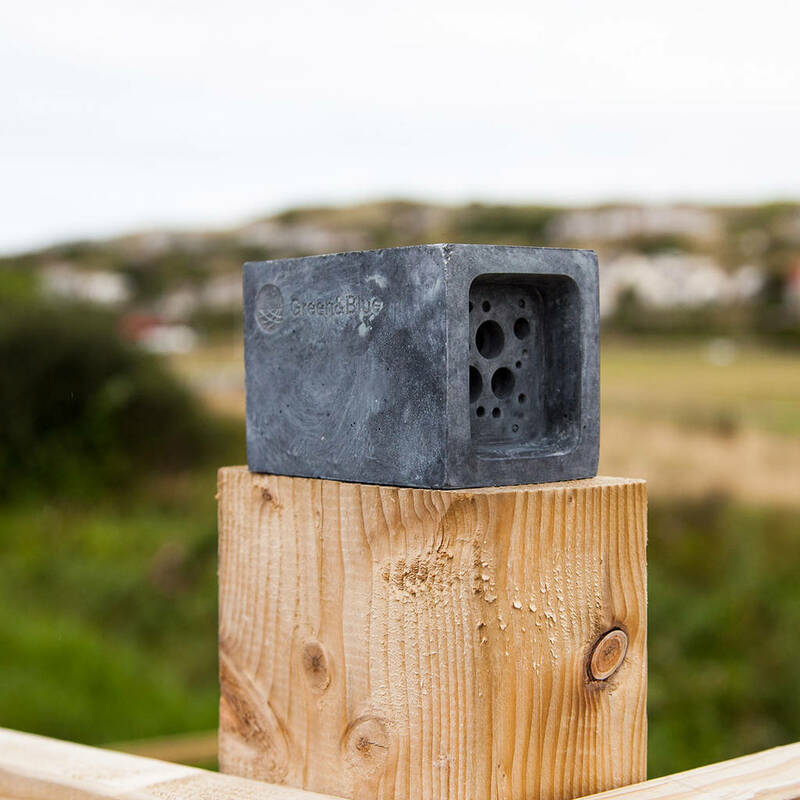 The award winning bee block small bee hotel makes a great gift for a nature lover, providing a stylish nesting site for solitary bees. 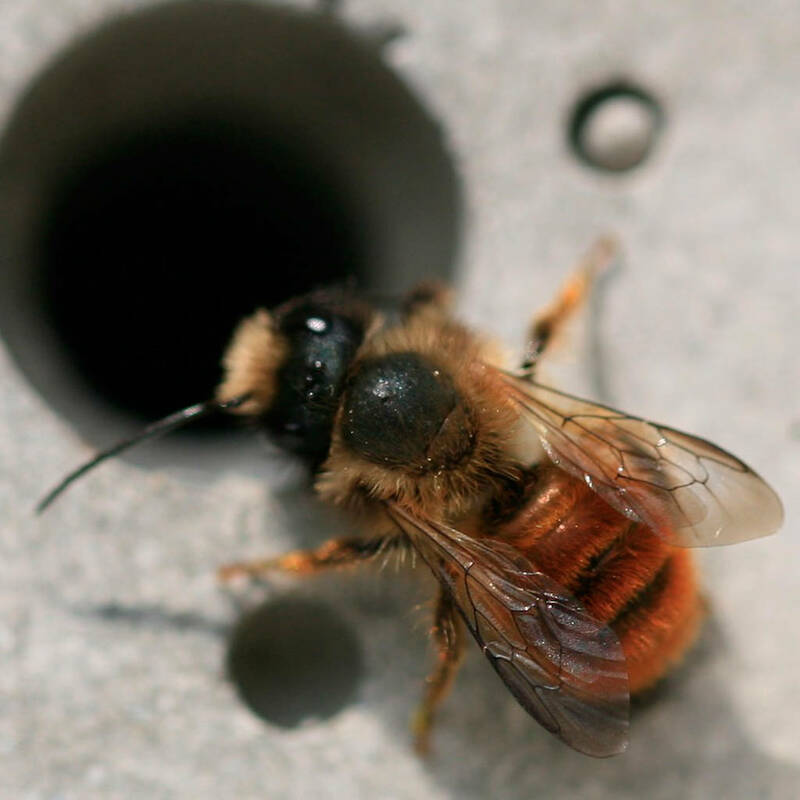 Solitary bees are vital pollinators and are responsible for over a third of all food we eat. As a species they face massive decline due, partly, to loss of habitat. 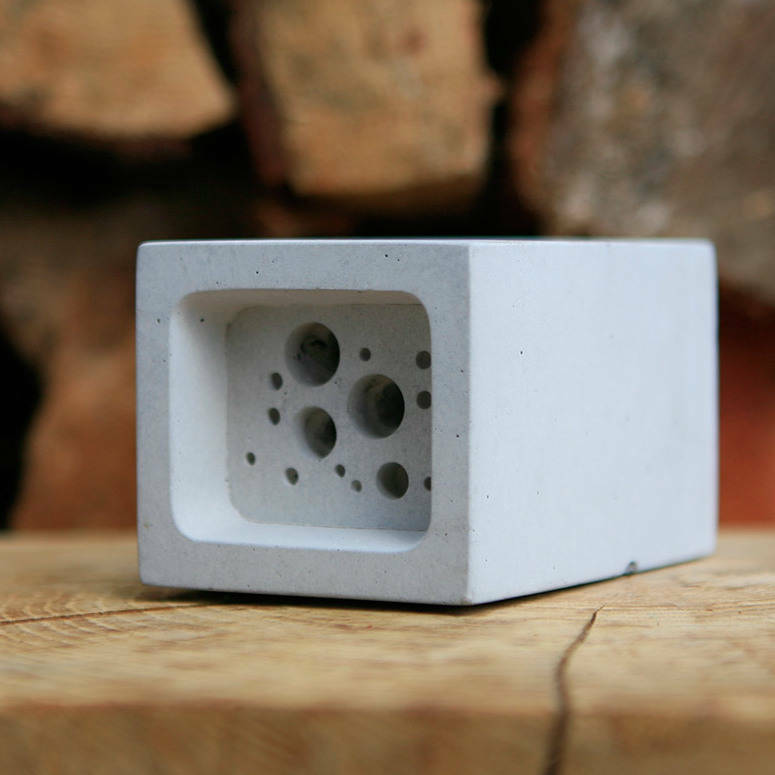 The bee block make a stylish bee hotel in the garden and can also be built into walls. 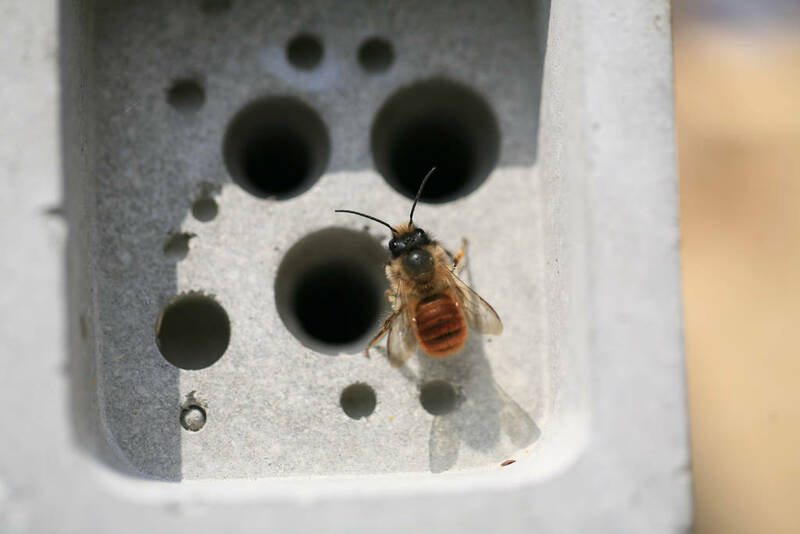 As solitary bees have no honey or queen to protect they are safe to encourage into gardens and around children and pets. 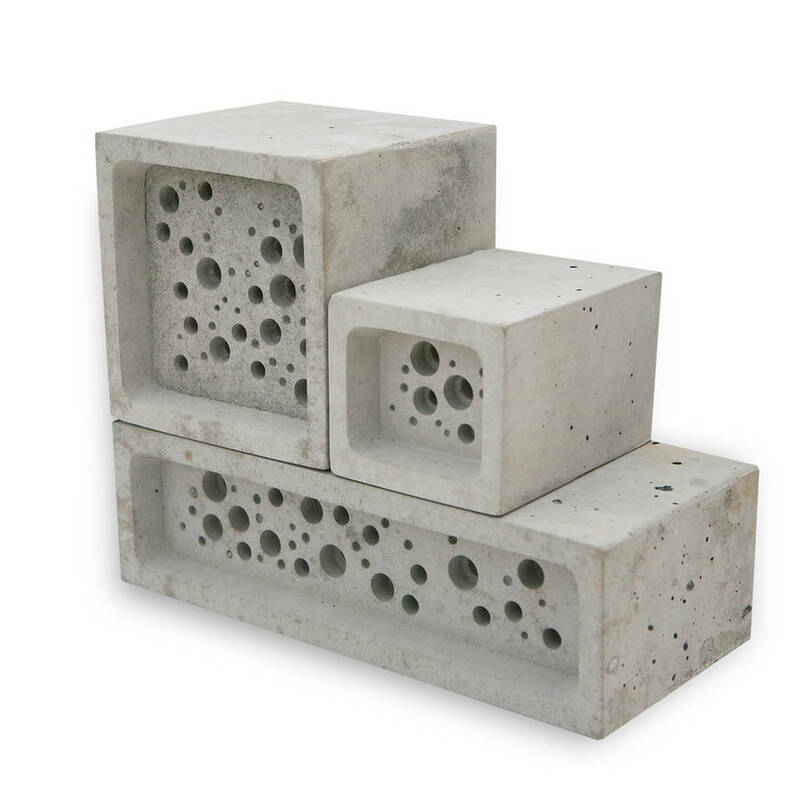 Our bee bricks and bee blocks have proved really popular gifts for men, being stylish concrete that serves a purpose! 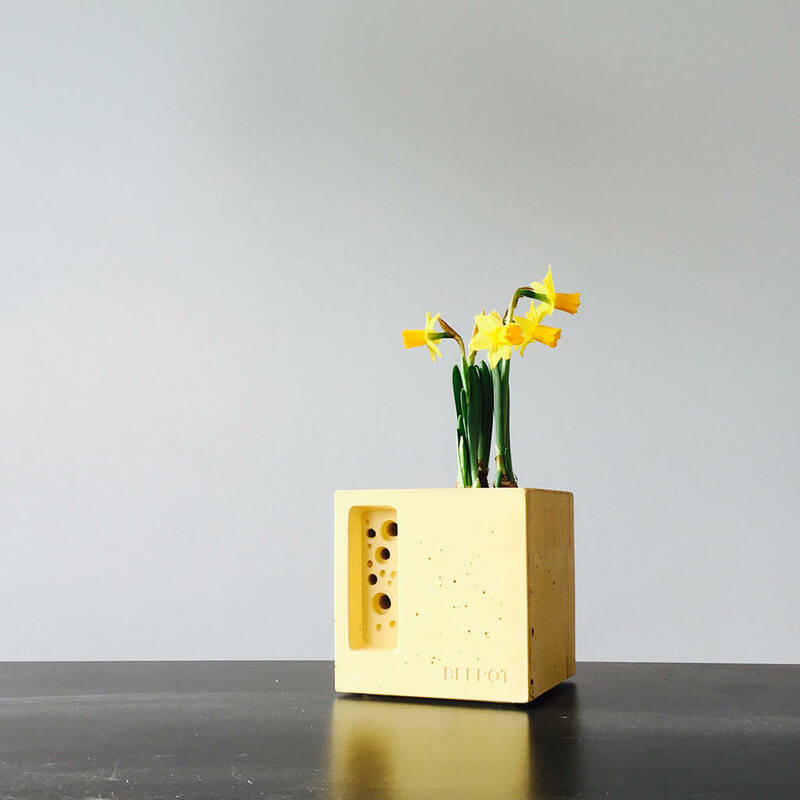 They make great gifts for garden and nature lovers, and fans of great design. The small bee block bee hotel is available in white concrete and now also in charcoal and cotswold yellow - both delightful colours and proving popular with the bees! We aso have a blue version which is exclusive to Not on the High Street. We are more than happy to gift wrap your order and include a handwritten gift card, just make sure you select these options at checkout and let us know what you would like written in the card. Products will then be wrapped in simple brown paper and finished with a Green&Blue sticker. 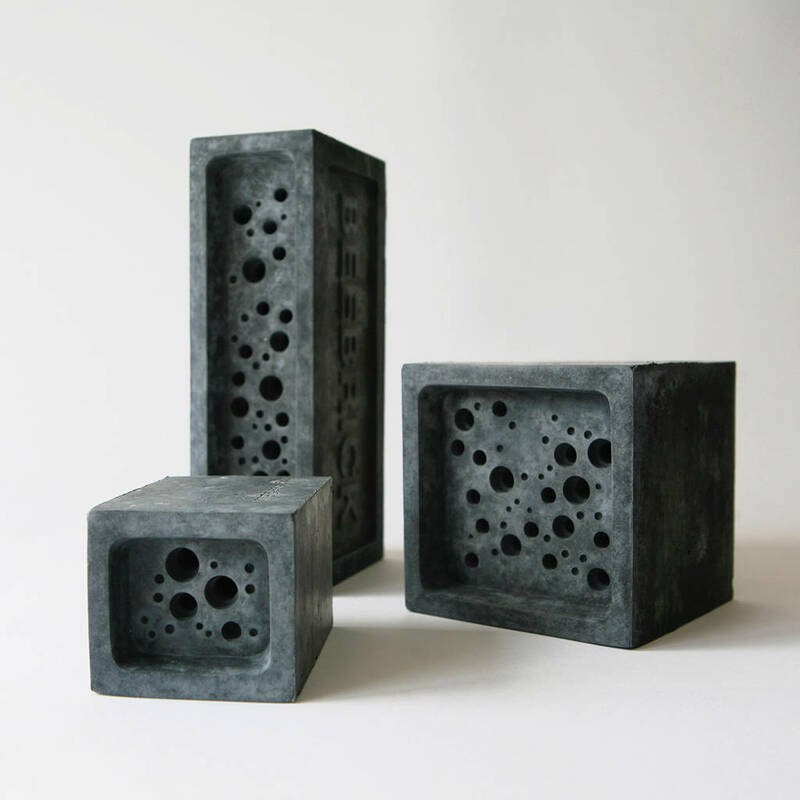 Cast concrete, incorporating Cornish granite aggregate and lime pigments. Air cured naturally. 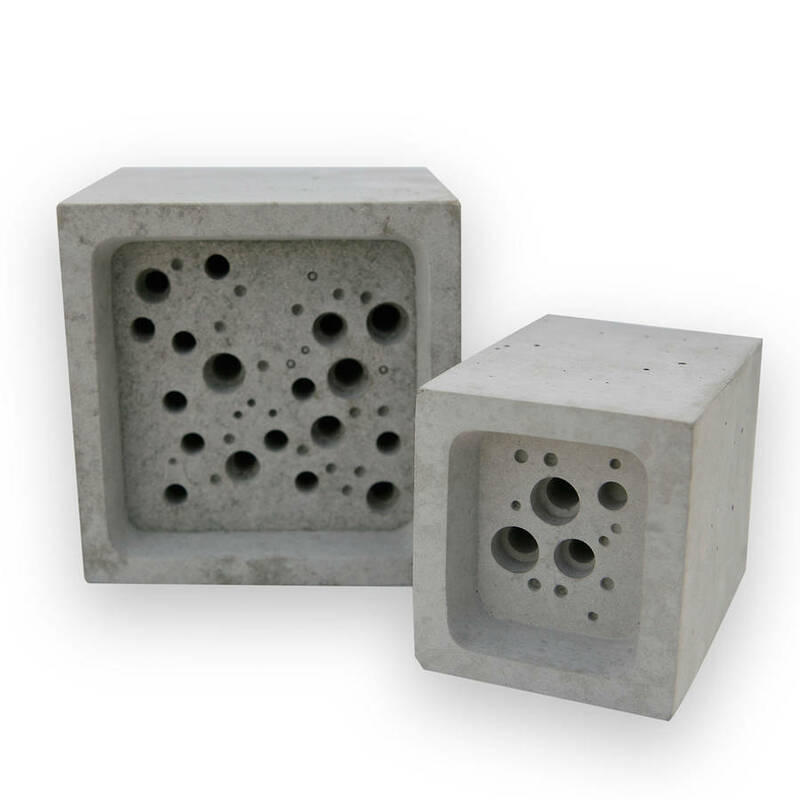 Because our bee hotels are made from concrete you don't need to bring them in over the winter like you do with wooden and bamboo hotels. 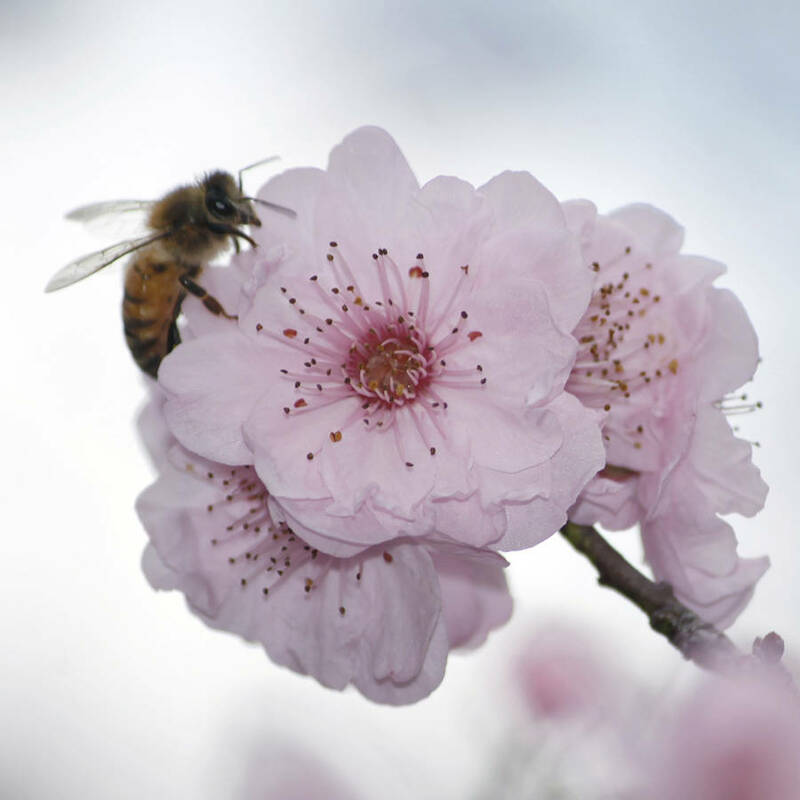 They are hardy and will withstand all seasons. If you wish to you can clean the cavities once a year when you are certain that they are empty although this isn't necessary. Full instructions on where to put your bee block bee hotel and how to care for it are included within the packaging and literature. 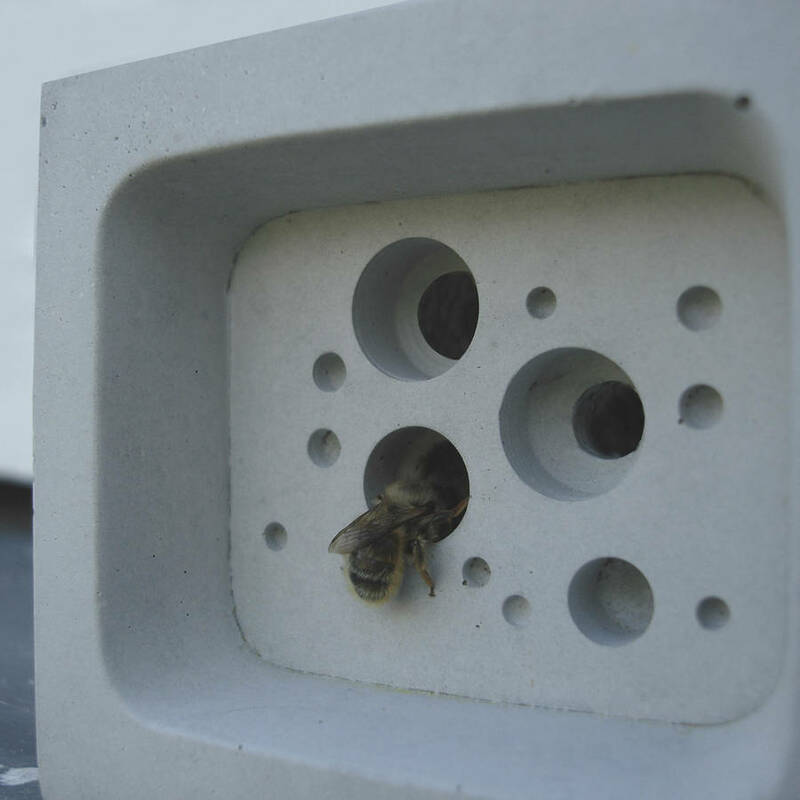 All bee hotels come boxed with a packaging wrap which explains more about how the product works and where to place it. This product is dispatched to you by Green&Blue.